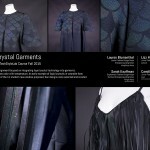 Exhibition of student-designed garments integrating Liquid Crystal Technology in the TechStyleLAB: Fashion Technology Course were created and exhibited at The Fashion School in the Rockwell Hall Atrium first floor display case during the 2015 Fashion Show in April. 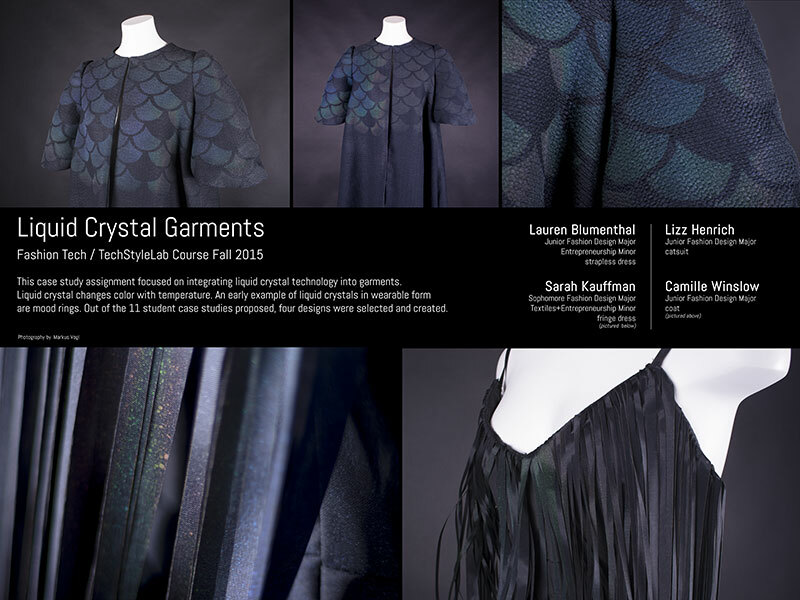 Shifting Paradigms took place at The Kent State Fashion Museum from September 2013 to August 2014. The exhibition featured innovative fashion + technology work by artists and designers from around the globe. It was awarded a National Endowment for the Arts Grant in Design. The exhibition was co-curated by Margarita Benitez and Noel Palomo-Lovinski. Invited to showcase pieces from the COLLIDER4 Exhibition’s kinect-cube during ingenuityfest 2012, September 14 – 16, Cleveland, Ohio. Invited to curate a special section of the COLLIDER4 Exhibition in 2012, the kinect-cube, which featured rotating works by Graham Wakefield & Haru Ji, Mauricio Giraldo Arteaga, David Stolarsky, Yingcai Xiao. The Emily Davis Gallery, University of Akron, Akron, Ohio. Shows curated: Catalina & Durvis Tena; Francesca Lalane. Florida International University BBC Campus, North Biscayne Bay, Florida.